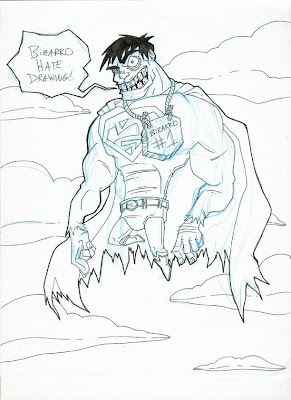 OTTOCON1: The art of Joel Jackson: Drawing of the Day 033...Bizarro hate blogging! Does this mean you like blogging? Or are you trying to tell us YOU hate blogging? Or that Bizarro hates drawing, so therefore Superman likes drawing?